A degree in mathematics is a great way to start a career as an air traffic controller. 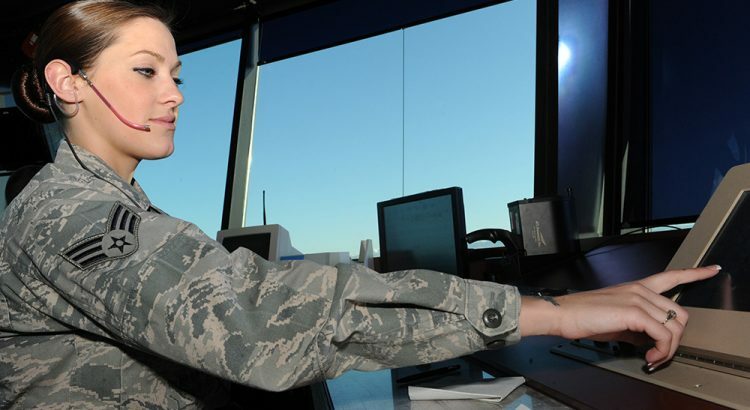 To become an air traffic controller, a person must also complete an FAA-approved education program; pass a pre-employment test; receive a school recommendation; meet the basic qualification requirements in accordance with Federal law; and achieve a qualifying score on the FAA-authorized pre-employment test. Air traffic controller uses math in order to be able to understand distances and measurements at a moment's notice. They also must be able to do mental math quickly and accurately. Part of their job is directing aircraft at what altitude and speed to fly. An error in these directions could be fatal so a strong math background is important. In addition, gaining computer skills is essential in order to work with special computer programs and automated instruments. The vast majority of air traffic controllers are employed by the FAA. Air traffic controllers work at airports—in towers and flight service stations—and in air route traffic control centers. A small number of civilian controllers work for the U.S. Department of Defense. During peak air travel times in the United States, there are about 5,000 airplanes in the sky every hour. This translates to approximately 50,000 aircraft operating in our skies each day. Air traffic controllers regulate the traffic in the sky in order to provide safety and protection. Controllers usually manage multiple airplanes at the same time and often must make quick decisions about completely different activities. For example, a controller might direct one plane on its landing approach while providing another plane with weather information.